Your oral health plays a critical role in your overall health, which is why it’s important to know the facts about tooth decay. Most people don’t realize that tooth decay is actually caused by germs. Not only do these germs eat away at your teeth and cause cavities, they are also infectious and can be spread to others through saliva. When you share utensils, straws, food or even kisses, you can transfer those infectious, decay-causing germs to someone else. #2. Even foods considered to be healthy can cause decay. When most people think of foods that cause tooth decay, they imagine candy, soda, ice cream and other sugar-filled treats. However, there are many foods that may be deemed “healthy” that actually aren’t very good for your teeth and can lead to decay. Carbohydrates, like bagels, as well as other foods that stick to the teeth and gums, like dried fruit, can all contribute to dental decay. When foods get stuck to your teeth, it provides nutrients to the germs that cause cavities and decay. #3. If you snack frequently, you’re more likely to get cavities. Many people know that the type of snack they eat can put them at a higher risk for cavities, but did you know that the frequency at which you eat or snack can also play a role in the development of cavities? When you eat or drink, particularly if you are eating or drinking foods or drinks that are sweet or high in carbohydrates, it leads to germs, which develop an acid that eats away at your teeth. Your teeth need time to recover from the germs and the acid between meals, and if you are continually snacking, it means that your teeth are being constantly getting exposed to it. #4. Cavities can really add up. Cavities are one of the easiest dental problems to prevent, but if you don’t take proper care of your teeth, it can really cost you. Cavities can be costly to fill, but if you don’t fill them, it can lead to serious consequences, not just for your health, but for your pocketbook. That’s just one of the many reasons why it’s important to take steps to prevent cavities by eating healthy, drinking plenty of water, and taking great care of your teeth. 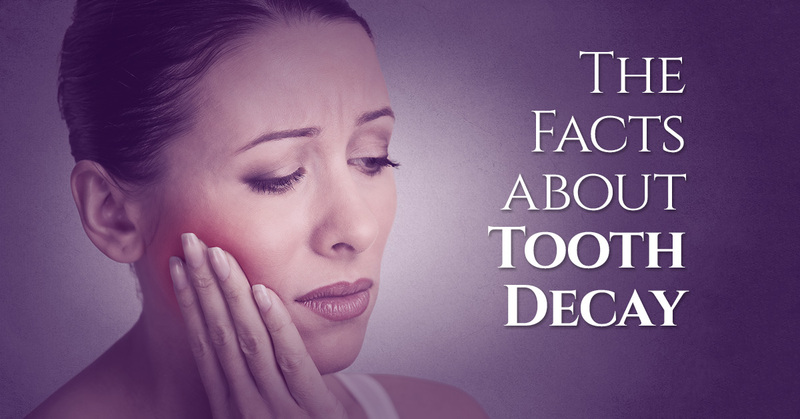 Tooth decay is one of the most common dental issues people experience, but many people don’t know much about it! Hopefully, these facts about tooth decay will help you take better care of your teeth and, therefore, your health as a whole. Please contact us at James Otten Dentistry if you have any questions or concerns about tooth decay.